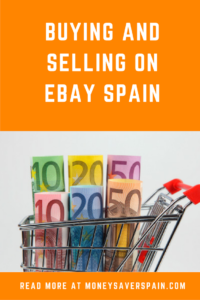 If you’re used to buying or selling on eBay in another country, you might be wondering whether to use eBay Spain. Take a look at our tips to help you pay less when buying or earn more when selling. Take a look at the eBay Spain homepage and go straight to “ofertas” to find the latest items on sale at reduced prices. Filter by most popular items or by groups: electronics, gardening, fashion and more. Over 80% of items sold are new, with many listed by big stores. For electronics and home appliances carry out a quick comparison with Amazon, Media Markt and El Corte Ingles. Remember to factor in any delivery charges! If you use the Advanced Search feature you can filter for items without delivery charges. When it’s an unknown company that’s selling, Google the company name and the word “quejas” or “reclamaciones” to see if you find negative information outside of eBay. Don’t dismiss secondhand, sometimes prices are a lot lower than brand new especially after Christmas or Valentine’s Day. People sell their unwanted gifts and want cash without having to wait. Find the final bid price of the same, or similar, items on previous eBay auctions. This will give you an idea of what an item is really worth before deciding whether to go ahead with a bid. When it comes to bidding, know yourself and your limits! Some people get caught in emotion of an auction and end up paying a lot more than they planned. Remember that people also sell items that don’t actually work (often bought as spare parts). If you’re worried about your level of Spanish not being good enough to understand all the description, use Google Translate (need to copy and paste the complete URL). Most sellers on eBay will answer any questions quickly, if you have any doubts ask before bidding. Double check the shipping price! Some sellers put a low price on a product and make it up with a disproportionately high shipping price. Filter for items with free delivery or local pick up. When checking out sellers on eBay, make sure that you look at the rating from buyers (compradores) and not from sellers (vendedores). 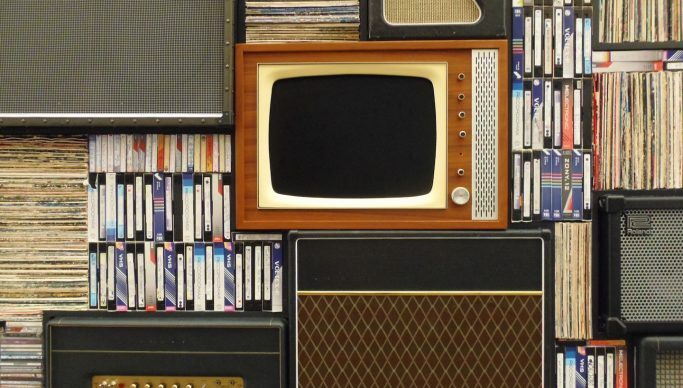 – Collect-only items often have fewer bids (but factor in how much it costs to pick up). – Items that have spelling mistakes can be missed by many people. Common errors on eBay Spain include swapping letter “v” for “b” (and vice versa) or a missing “h”. The same goes for foreign titles and names for music and films, eg Teilor Suiff for Taylor Swift. – Bids that end at times when less people are online tend to go for lower prices as competition is lower. – Take a look at lastminute-auction to find items for 1€ or lower with less than an hour to go till the end of bidding. When paying it’s preferable to use the PayPal option, as you’ll be reimbursed if you don’t receive the item. PayPal cover also applies to international deliveries. Charities, not-for-profits and NGOs sell products on eBay. All organisations are vetted to ensure that they are legit. Take a look at “eBay Solidario” for more info. If you’ve decided to list something on eBay Spain make sure your description is clear and in correct Spanish – get a friend to help if necessary. Better descriptions attract more potential buyers. Photos should be clear and well lit, especially for those items with a higher price tag. Set an auction end time for when most people are online, taking into account where your potential market is. If you’re aiming at Spain, end auctions in the evening (around 8 pm) avoiding Friday and Saturday evenings and major sporting events. Choose the right time of the year – if you’ve just installed new air con and want to sell your old units, don’t do it in the winter when nobody’s thinking about the summer! Individual sellers can advertise up to 50 items per month on eBay Spain for free. Above this limit charges are 0.35€ per item. eBay’s commission is 10% on the the final sales price. Unless you’re advertising “collect only”, you’ll have to think about postage. This includes not only the cost of sending items but also envelopes or bubble wrap. Don’t automatically use Correos to ship items, take a look at courier comparison site Packlink for a quote. Another advantage of using a cheap courier for lighter items is that you’ll automatically have proof of delivery. If posting, use registered delivery. If you’re located on the Spanish mainland or the Balearics, if you accept offers from a location in the Canary Islands then the cost of shipping will be a lot higher. Consider limiting the geographical area to the mainland. Don’t forget – on eBay the old adage of “one man’s trash is another man’s treasure” is definitely true as the weirdest things can be found. So, before you throw something away thinking that no-one could ever want to buy it, try listing it first. You could even list items to collect at 0.01€ rather than take them to the local Punto Limpio!